Police have released an image of a man they would like to speak to after a 14-year-old girl reported being sexually assaulted last month. The frightening incident happened at around 5pm on Monday July 16th. 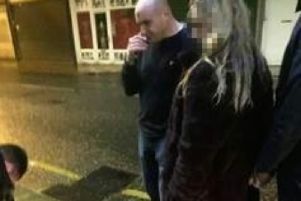 The girl was approached by a man who is believed to have engaged in conversation with her as she walked along Brunswick Street. She was followed onto Vaughan Street where she reports being touched inappropriately. Alternatively you can contact the independent charity Crimestoppers anonymously on 0800 555 111 or online at crimestoppers-uk.org.